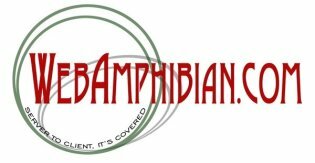 WebAmphibian.Com has demonstrated the ability to meet challenges in any of a number of different areas. Our strength comes from understanding the relationships between the technologies involved, and how to dove-tail these elements together. WebAmphibian.Com also welcomes other projects where our skill sets meet your requirements. Please contact us to discuss how we may help you reach your goals.